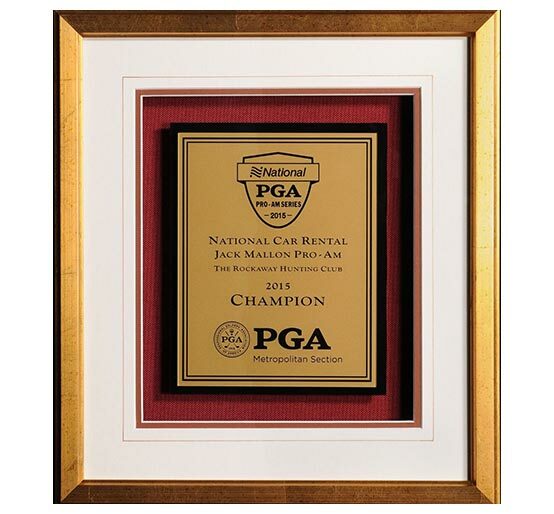 Our gold and silver metallic plate shadow boxes feature a reverse engraved plate with excellent detail to capture the unique aspects of every logo. 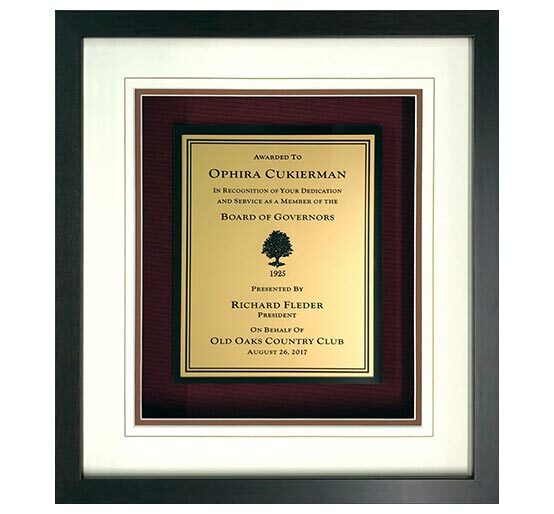 Our gold and silver metallic plate shadow boxes feature a reverse engraved plate with excellent detail to capture the unique aspects of every logo. Frame choices include gold, silver or wood finished. The background fabric offers unparalleled quality, color, texture and style. 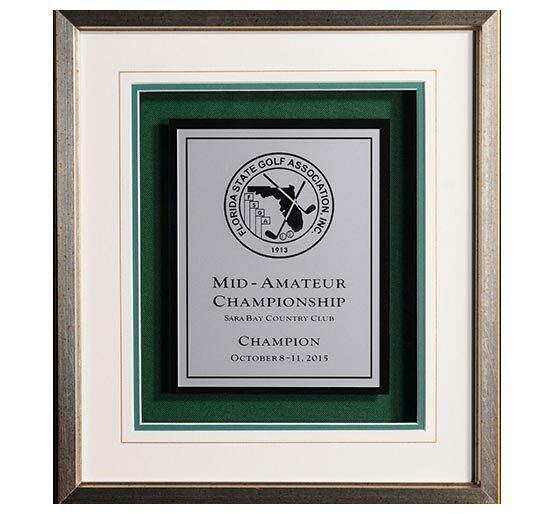 A Morell Studios shadow box is perfect for golf awards, corporate awards or as an executive or retirement gift.